An Alaskan native moves to a quiet town in Florida, where he is immediately attracted to a natural beauty with magnetic charm. Soon afterward, he begins to realize that his new love interest might not be the perfect image that she portrays, as she begins to show signs of mystical powers that are linked to her equally surprising past. ‘Mystic Tides’ is a New, Young Adult Fiction Series inspired by Hans Christian Andersen’s ‘The Little Mermaid’, with ties to the original tale. If you loved Harry Potter and/or Twilight, you can’t miss this! C.J. Godwin was born as Crystal Jen’a Hall, on the Army base in Fort Sill, Oklahoma. She moved to Georgia when she was only 2 years old and has been a Georgia peach ever since. As a child she loved Disney movies and went to school in Paulding County before moving out to Temple G.A. at 11 years old, where she completed her Middle and High School years with a speciality in Art. After completing her education she went on to work for several prestigious cosmetic companies as a Make-Up Artist. Away from the counter she specializes in on-location bridal make-up. In her spare time she loves to read and while working at Hartsfield Jackson International Airport she finally read the original version of Hans Christian Andersen’s ‘The Little Mermaid’ (Her favorite Disney movie as a child). It was then, (back in 2011) that she was inspired and came up with the concept of the ‘Mystic Tides’ series. 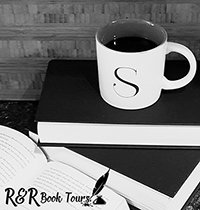 In 2016 she released her debut novel, which was an instant hit among the fans. Her ultimate dream is to one day help out on set and see this new series come to life on the big screen. Arden has lived in Alaska with his father for his whole life. His mother dropped him off on his father’s doorsteps then left so he knows nothing about her except what his father has told him. Then Arden’s father announces that Arden is going to live in Florida with his Aunt Tess and Cousin Alana. At first Arden is upset because he doesn’t want to go to a new school for his senior year but realized that his father is trying to do the best for him. In Florida, he finds that his aunt spends more time with her boyfriend than with Alana and him. Then as school he meets exotic twins and falls for the one sister, Kailani. Although she tries to keep her distance, both are drawn together. Then Arden starts noticing strange abilities. At the same time someone is clearly hunting down Arden and has plans for him. I love how this book is divided into two parts. You follow along with Arden as he falls for Kailani and you learn that he is starting to get weird abilities. Then there is the part of the siren and selkie that are intent on hurting Arden. That part is in italics and makes it easy to figure out where you are in this world. I admit that I’m more of an Alice in Wonderland type of girl and the only thing I know of The Little Mermaid is from Disney. But now I want to read the original Little Mermaid to learn the real story and how it is linked with Mystic Tides. This is a great young adult story that will draw you in and leave you wanting more. I have read that this is going to be a trilogy and I cannot wait to read the next book in the series. This book is for anyone that loves fantasies, especially those about mermaids. 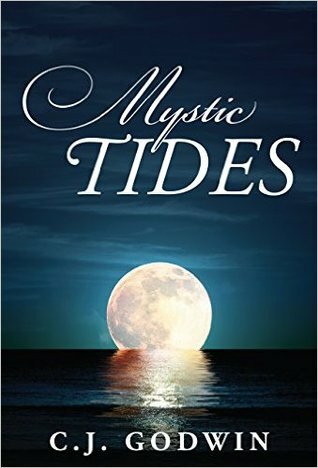 I received Mystic Tides from the author for free. This has in no way influenced my opinion of this book.